VLC media player released version 3.0.5 a few days ago with performance improvements and numerous fixes. Here’s how to install it in all current Ubuntu releases. The official VLC snap package (containerized software package) has been updated to v3.0.5. For Ubuntu 18.04 and higher, simply install it from Ubuntu Software. 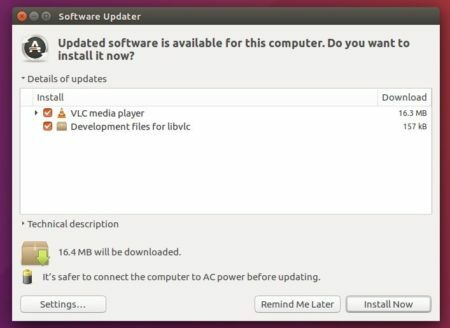 Ubuntu comes with VLC package (see previous picture), and offers software updates through updates repository. NOTE VLC 3.0.5 is not available at the moment of writing. As usual, the new release package will be published in a few days. For Ubuntu 18.04 and higher, simply install VLC .deb package from Ubuntu Software, and VLC 3.0.5 package will be available via Software Updater once published. VLC media player 3.0.4 was released with support for decoding AV1 streams and various bug-fixes. Fixes for ogg, flac, MKV, AVI, MP4, and incomplete RAR streams. Various fixes for Mac OS, and other more. For Ubuntu 18.04 Bionic Beaver, Ubuntu as usual will publish VLC 3.0.4 packages via security & updates repository. At that time you can upgrade VLC via Software Updater (check the building page, The Bionic Beaver section). 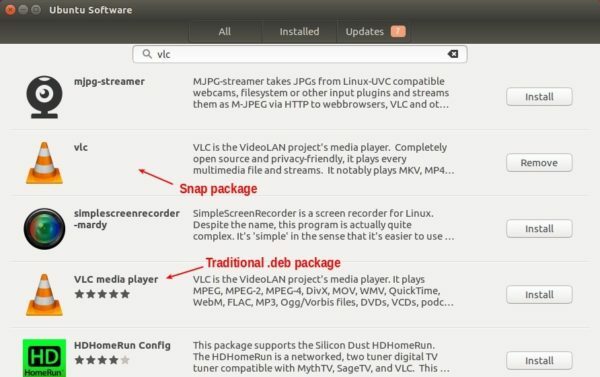 For Ubuntu 16.04, Ubuntu 18.04 and higher, the VideoLan team offers the official Snap package, containerised software package designed to work securely within most Linux desktop. 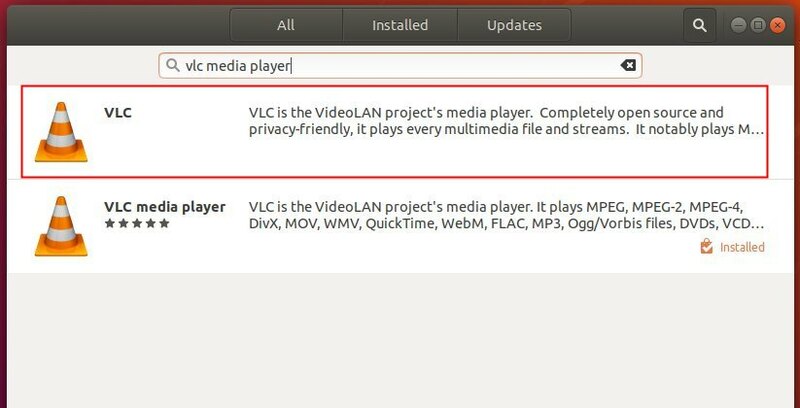 You can simply install the snap (3.0.3 at the moment) via Ubuntu Software, and it will auto-updates to the latest VLC 3.0.4 once it’s published. VLC media player got a new maintenance release for VLC 3.0 series a few days with numerous bug-fixes. Here’s how to install it in Ubuntu 18.04, Ubuntu 16.04. It automatically upgrade to VLC 3.0.3 if an old version of the snap package was installed. The latest VLC 3.0.2 will soon be available in Ubuntu 18.04 repository (published as proposed at the moment). For Ubuntu 16.04 users who prefer traditional VLC packages to the snap, here’s how to install VLC 3.0.2 via a PPA repository. NOTE: The PPA build does not support Chromecast, upgrade to Ubuntu 18.04 if that’s important to you. 1. 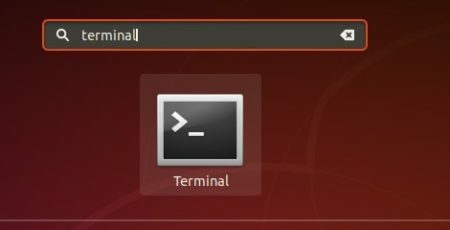 Open terminal via Ctrl+Alt+T keyboard shortcuts or by searching for ‘terminal’ from app launcher. Type your password (no visual feedback while typing due to security reason) when it prompts and hit Enter to continue. 4. Finally upgrade VLC media player using Software Updater. 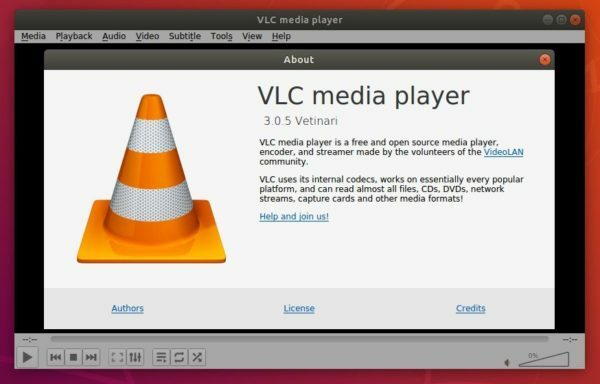 VLC media player 3.0.2 was released a few days ago. The release fixed more than 150 bugs since the 3.0.0 release, and improves decoding speed on macOS. 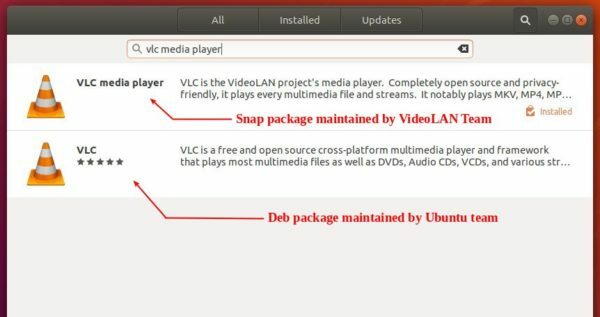 The VideoLAN team offers official snap package, so Ubuntu users can easily install the latest VLC package from Ubuntu Software.